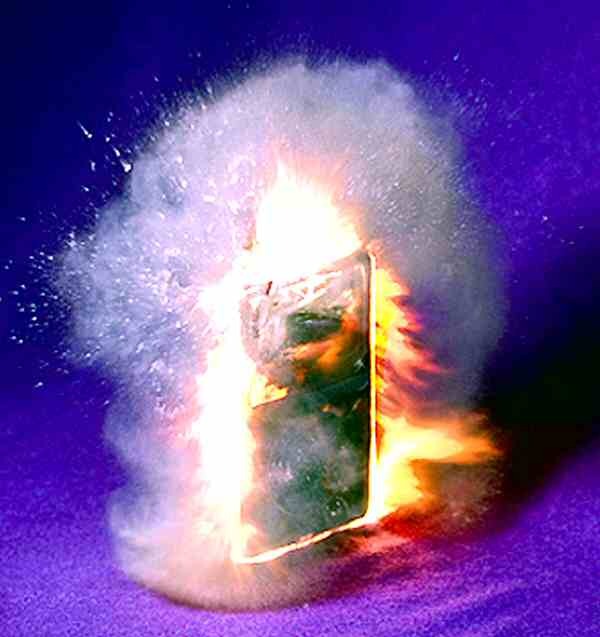 Chemistry - Phones explode because lithium operates by chemical action. Let's not kid ourselves here: The iPad has had battery "explosions" just as much, if not more than Samsung. It is just that Samsung is more outspoken about issues. Apple believes that if it ignores a problem it will go away. I would like to see the real statistics on all phones. Batteries operate by chemical action. What you learned at school was that chemicals are dangerous. The unexpected sometimes happens. Lithium has the capacity to store a lot of energy. This pent-up power is always looking for a way out of its container. Though the incidents of phones catching fire is very low, the mere thought of something exploding in your pocket is frightening. Lithium batteries are notoriously unstable. They have caused fires on aircraft. Thankfully, no one has yet been killed. We do not have any alternative to lithium batteries. They are the most efficient and can be made very small. Consumers do not want to go back to nicad or, heaven forbid, alkaline batteries.